Self-insured employers want to cut costs without affecting the quality of coverage available to employees. HR leaders need to provide great benefits that attract talent, but they also need to slow the rising tide of healthcare costs at the same time. 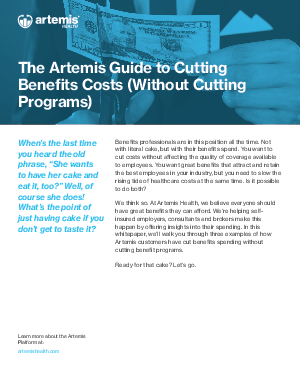 In this whitepaper, you’ll see three examples of how benefit teams have cut benefits spending without cutting benefit programs.